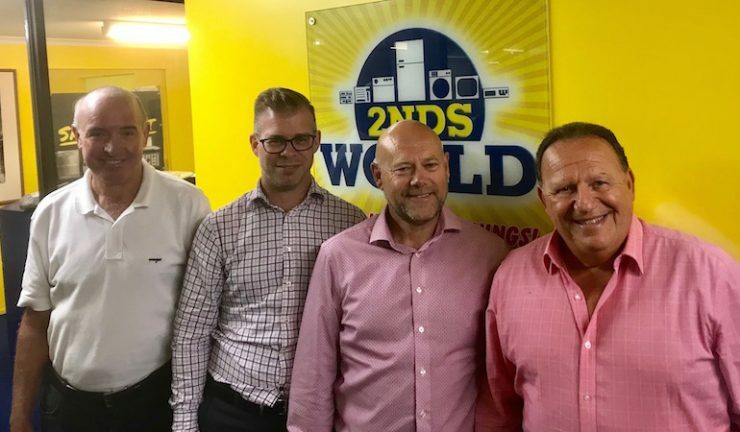 2nds World has announced a restructure within its management team with two new appointments. Denis Harvey has been appointed as Merchandise Consultant and Karl Holdsworth as Retail Sales Manager for NSW and Victoria. They will both report to General Manager, Allen Garb who joined the business 5 months ago after 11 years with the Good Guys and 15 years with the Wesfarmers Group. Dragi Kozarovski, Chief Operating Officer, will remain Head of Buying in addition to overseeing logistics, HR and services including implementation of our new computer system CRMS. “I am very excited with the new structure and I am convinced that we are now better than ever prepared for our future,” Hammerman added.